Mongolia is a landlocked country between Russia and China. Nearly half the population of Mongolia live in the capital, Ulaanbaatar, and much of the remaining population are nomadic. Mongolia is mountainous, with an average altitude of 5,183 feet (1,580 meters) above sea level, making it one of the highest countries in the world. The Mongol Empire led by Genghis Khan and his sons, conquered much of Asia and Europe during the 13th century. To Sabbath School teachers: This story is for Sabbath, Sept. 8. Urna’s father died when she was four years old, and she lived at home with her mother. The first few grades of school were tough. The other children made fun of her for not having a father. They chanted, “You don’t have a father! You don’t have a father!” This made Urna feel sad. On Sabbath, Urna went to church with her mother. She didn’t know why they went to church. She didn’t think Sabbath School was interesting because she already knew all the Bible stories taught by the teacher. Urna loved her new school! All the children were nice, and no one made fun of her for not having a father. She became best friends with a girl named Dani from Brazil. Urna and Dani did everything together. But the day came when the girls had to say goodbye. It was horrible. Urna cried about saying goodbye, but she also cried because she wanted to move to Brazil. One year passed. Two years passed. Then three and four years. Urna kept praying. 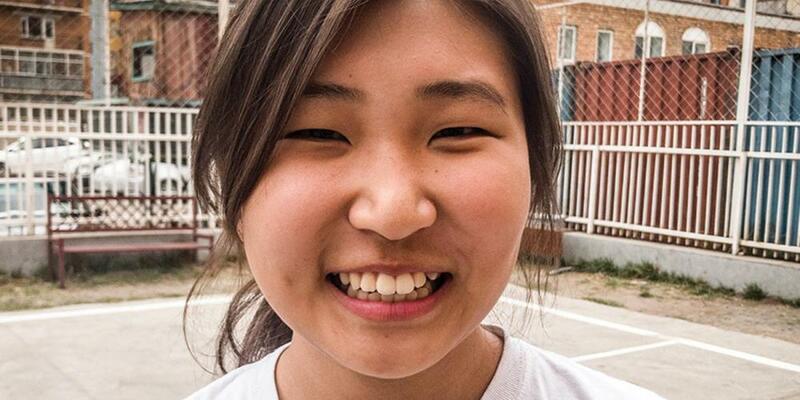 One day Urna came home from her Adventist school in Mongolia and found her mother waiting for her at the front door. “You are going to Brazil!” her mother exclaimed. She learned that friends from Brazil had called her mother and invited her to go to high school in Brazil. The friends said she could live with them. Urna can’t wait to be reunited with Dani! She can’t believe how God answered her prayer! Today, Urna likes to go to church on Sabbath, and she doesn’t think it’s boring. She goes to praise the God who loves her so much that He answered her biggest prayer. Urna’s school in Mongolia is growing so quickly that it doesn’t have room for all the students who wish to study there. Part of this quarter’s Thirteenth Sabbath Offering will help build a new high school so more students can attend an Adventist school. Thank you for your mission offering.